I have been meaning to getting around to building my own PC for a while and the stars finally aligned. 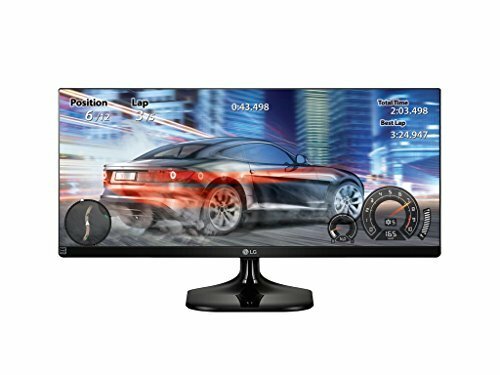 This will be the first desktop that I've owned in a long time and I'm looking for a good all around build. While the GTX 960M on my MSI laptop has been pretty good to me, I'm looking forward to more gaming power. I decided early on a white/black setup, an understated but classic look. I mainly wanted to stay away from over done black/red setups. I was originally planning on going with an Intel Core i5-6500, mainly because I thought getting into a Z170A chipset would be too pricey. As turned out to be the theme throughout this build, rebates and timely sales played a large part on deciding which parts. When a rebate bought the MSI Z170A Krait to within the same price as the MSI B150 motherboard I was planning on buying, I decided to go with the Core i5-6600K. A rebate is also why I went with an Asus GTX 1060 over the closely priced MSI RX 480 Armor which I originally planned to get. Aesthetically, i think the Asus went better with my build in the end. The toughest decision I had was picking out a white mid-priced ATX mid-tower case. 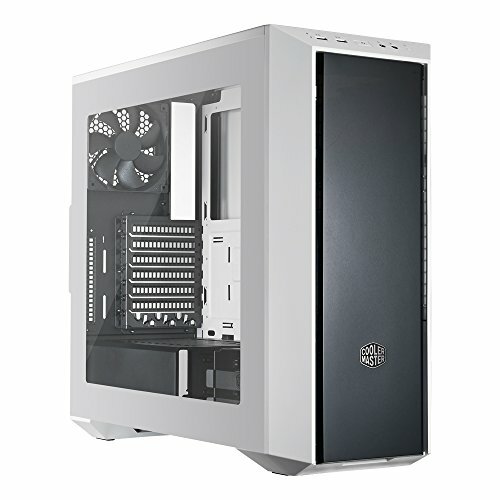 I was deciding between NZXT's S340 and Phantek's Eclipse P400 when I saw the Master Box 5. The combination of it's open interior and the look of its black front panel with the rest being white won me over. I was originally hesitant of going with the Rosewill Quark 550W. After finding plenty of positive reviews, I found passing on a 80+ platinum fully modular PSU at that price ($60) hard to do. The rest of the parts were mostly chosen on a combination of color and price. This build went pretty smooth, so I'm just going to share a few things to be aware of if trying same or similar build. 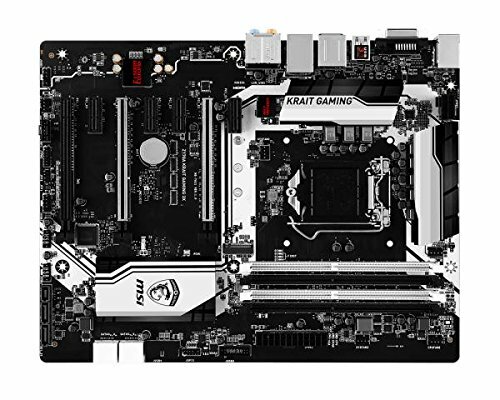 System fan headers: I liked that the Krait Gaming X3 motherboard has three 4-pin system fan headers, but I found the placement of one of them odd. The ones located at the top-front and the rear bottom of the board as expected. The odd one was the fan header located between the M.2 slot and the CPU area. It was conveniently located for the one rear fan but required me to get an extension cable for one of the front fans. Short stock fan cable: While I was waiting for my replacement case fans, I installed the included stock case fans and ran into an issue. Since my motherboard did not have a bottom-front fan header, I had to slide the front case fan up to connect to the top-front header. The problem i found was that the fan cable was too short to route behind the motherboard at that position. I connected it directly until the new fans arrived. PSU shroud: I generally like the included shroud that covers the PSU, but since it has an open end it doesn't fully keep all cables out of sight (depending on viewing angle). It isn't as noticeable with black cables, but very much so with the white cable extensions I'm using. PSU indicator LEDs: A feature of the Rosewill PSU that I like is that it has a LED indicator light for each rail. It's a very nice and handy feature for possible troubleshooting. Thing to keep in mind is that these LEDs are bright green with no way to turn them off, so if the PSU isn't covered they can clash with your build. GPU Backplate: Since the graphics card I purchased did not have a backplate and I didn't like looking at the PCB, I decided to try to find one. Based on a few recommendations, I ended up finding a Portuguese company called Coldzero (http://www.coldzero.eu/5-gpu-backplates) that has a lineup of GPU backplates. The one I got is pretty well made and adds alot to the look of my build. Cablemod extensions: Since I couldn't find any braided cable kits for my PSU, I went with Cablemods white cable extension kit since I didn't want to go through the custom route. While the extension cables did require more effort to cable manage, I am pleased with the overall look. After reading some good reviews, I decided to grab this CPU cooler to match my black/white build. Its a very efficient cooler that keeps my Core i5-6600k idle temperatures in the mid 30s C and under 50 C under load in stock settings. Simple install. At the time this was the most affordable monochrome Z170A motherboard that also included a bonus free game. I have since been blown away at how it has exceeded my expectations. The metal reinforced PCIE slots are great for reducing sag. With plenty of headers and ports including USB 3.1, three 4-pin fan system fan headers, and a M.2 SSD slot. My favorite feature is MSI's easy to use for overclocking UEFI with XMP and Game boost. Great looking low profile DDR4 memory kit. Mainly got it to match my white build. This is still an amazing storage option if you have an M.2 slot. 500 GB of storage in such a small form factor is incredible and my system boots in seconds. This worked great as a complimentary storage drive to my SSD. It is faster than a purely mechanical drive and more affordable than a similarly sized SSD although not as fast. This is an easy to build in fully featured case. It is easy to see that cable management was well thought out with dozens of tie down slots all over, large cutouts, and plenty of room behind the motherboard. I generally liked the PSU shroud as it helped with cleaner look, but since it was open ended it didn't completely keep cables out of sight. 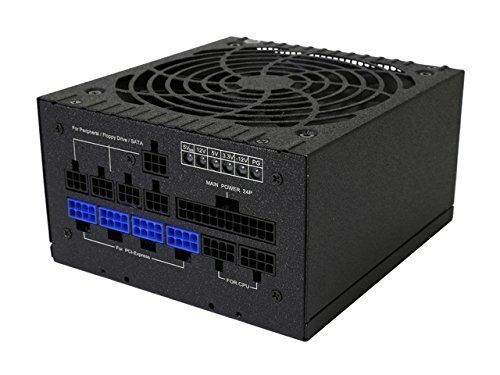 80+ platinum fully modular PSU at this price point is incredible. It comes with flat cables and the LED indicator lights are good bonus especially for troubleshooting. Be aware the LED indicators are bright green and can't be shut off, so if your PSU isn't covered can clash with your interior. Where'd you get that gpu backplate? I. NEED. ITTTT!!! It's from a company called Coldzero, they're pretty good. They even do custom work for extra. I included the link in the build under extra's, but here it is http://www.coldzero.eu/5-gpu-backplates. Did the company that did your backplate ship to the us? Yes they do. Although they are located in Portugal, they ship internationally and it didn't take long to arrive.